Stone Edition Chumash: This bestselling Chumash includes a contemporary English translation, an anthologized commentary, and Rashi and Onkelos. Available in a single volume or in five personal-size volumes, perfect for students on the run. Each volume includes its own index and appropriate haftarahs and Megillahs. The Sapirstein Edition Rashi: This masterful treatment, with its flowing translation, notes, and elucidation within the text, gives students a clear understanding of Rashi. Ramban on the Torah: Ramban’s classic commentary elucidated in the manner of the Schottenstein Talmud. Introductions to each section make even the Ramban’s most complex insights understandable. Rubin Edition Prophets: The Nevi’im Rishonim come alive with this flowing translation and anthologized commentary. Includes introductions and explanations of difficult concepts. Available in full-size and personal size. Milstein Edition of the Later Prophets: Sefer Yeshayah and Trei Asar are now available, and Sefer Yirmiyahu will be published shortly. Includes Rashi, Radak, and Metzudos. The Kleinman Edition Kitzur Shulchan Aruch: This beloved halachah classic, translated and elucidated, includes rulings of the Mishnah Berurah and Igros Moshe, when they differ from the Kitzur. Available in slip-cased 5-volume full size or 10-volume personal size sets. Yad Avraham Mishnah Series: Each volume includes a translation of Mishnah with commentary; in-depth introductions; full Hebrew text of the commentary of R’ Ovadyah of Bertinoro; and many explanatory diagrams. The Schottenstein Edition/The Mishnah Elucidated: Ideal for students, this includes full vowelized Hebrew text and full text of the Bertinoro, notes, general introduction, and many diagrams. Two volumes of Seder Moed are now available. The Ryzman Edition Hebrew Mishnah: This groundbreaking Hebrew-language work includes a brief explanation, an expanded commentary, “iyunim” delving deeper into various issues, and a summary of the halachos that emerge from the Mishnah. The Schottenstein Edition Talmud Bavli: This monumental project, which has sold hundreds of thousands of volumes, enables students to really understand Gemara (and it helps fathers learn with their sons!). Available in full size, daf yomi size, and travel edition. 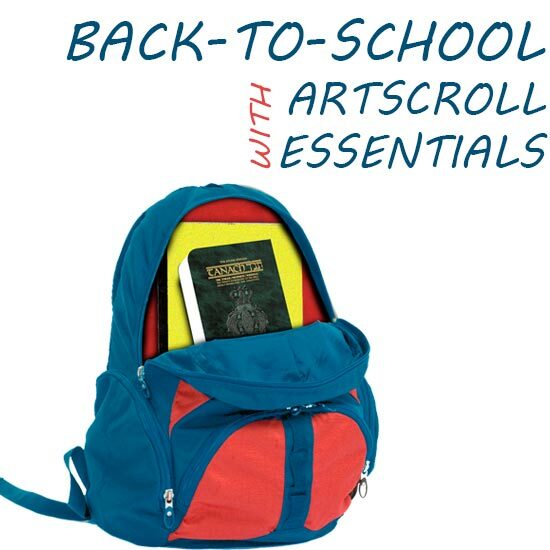 Click here to shop ArtScroll.com and get your exclusive online savings.